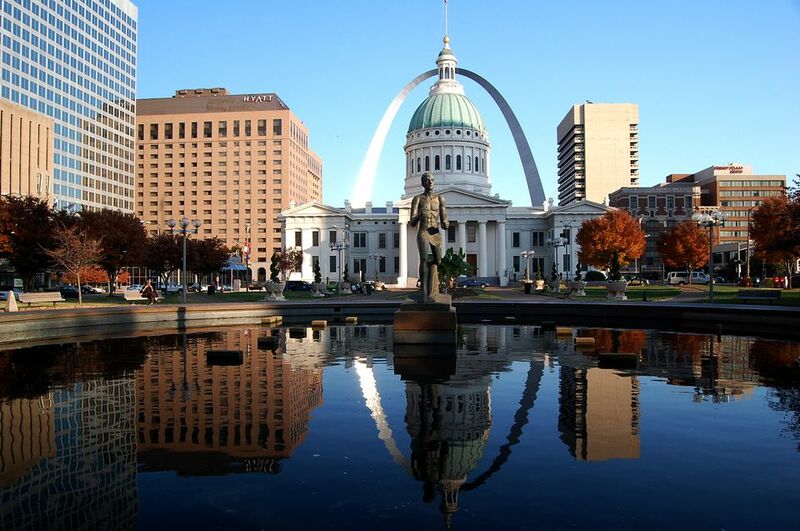 If you're new to St. Louis, searching for a home or apartment can feel a bit overwhelming. Especially if you have no idea which part of the region is right for you. On a map, all areas look pretty much the same, but of course, each has its advantages and disadvantages. Here is a summary of each of the metropolitan area's various regions and neighborhoods to help make your search a little easier, and to help you focus your search on areas more likely to fit your personality. Downtown is obviously home to landmarks such as Busch Stadium and the Gateway Arch, but it has also undergone quite a revival, both commercially and residentially. Washington Avenue is now a popular entertainment and shopping district. Going hand-in-hand with this and other downtown makeovers have been a swell in loft living. Most lofts are found on streets running parallel to Washington (Locust, Olive, and Pine), and are within 20 blocks of the riverfront. Again, costs vary greatly, but most lofts are geared to young urbanites, although they also attract their share of business executives, empty-nesters, and even families. Outside of downtown, but still within the City of St. Louis, there are dozens of neighborhoods to consider. A neighborhood that might be paradise for one individual could be completely unacceptable to another. One good tool to help you sort out general characteristics is the "maps and data" section of the City's Community Information Network (CIN) website. Start by looking at the city-wide map. This tool allows you to view the city as a whole, color-coded by categories such as people, environment/health, housing, education and economic. For example, if you're looking for a neighborhood with lots of young families and kids, you can see which parts of St. Louis have the highest concentrations of children. If you're interested in one specific city neighborhood, visit the city's neighborhood guide. Each neighborhood site provides a general overview of the neighborhood, as well as lists of parks, schools and places of worship, demographic information, and links to local organizations and government officials. Another tool is the crime report program from the St. Louis Police Department. It displays crimes committed in a neighborhood during whatever time period you specify. The site is very interactive, allowing users to zoom into the street level, as well as toggle on and off each type of crime. Surrounding the City is St. Louis County. St. Louis City and County are completely separate political units and require separate tools to research. The county itself is comprised of more than 90 municipalities. Luckily, you can slim down your options by picking a general area of the county, and then focus in on the individual cities within that area. In general, locals divide the county into North County, West County, and South County. North County includes communities like Florissant, Hazelwood, and Spanish Lake. Popular suburbs in West County are Des Peres, Ballwin and Manchester. In South County, good options include Mehlville, Lemay, and Affton. If you're interested in living a bit further afield, your options increase significantly. On the Missouri side of the river, both St. Charles and Jefferson Counties are booming with new home developments. Likewise, on the Illinois side, Madison, Monroe, and St. Clair Counties are all growing rapidly, but also have terrific established communities. The main benefits of all of these counties are low home prices and the availability of larger land plots. The main drawback is the distance of each to downtown if commuting into the city is something you'll have to do on a regular basis.